If you had to describe Wes Anderson’s style in two words I’d put money on them being ‘quirky’ and ‘detailed’ – that’s assuming you’re a Wes Anderson fan (if not, ‘bull’ and ‘sh*t’ may be more likely). Anderson’s movies aren’t for everyone, but for those who love the offbeat subject matter, vintage style and ridiculously micro-managed direction there a lot more than just the plotline to follow. These movies provide a wealth of style and fashion inspiration, and chief among those is The Royal Tenenbaums, Anderson’s 2001 opus. While every character in Tenenbaums has a unique and instantly identifiable style it was Richie Tenenbaum (Luke Wilson), former tennis pro and current lovestruck, depressed drifter who jumped out at me from the screen. Richie’s style was heavily influenced by his tennis career, as can be seen from his Bjorn Borg sweatband and pressed white tennis shirt under his camel hair suit. While I love Richie’s style – shortly after seeing the movie I bought my own camel hair jacket in an effort to ‘Richie-fy’ my wardrobe – my favorite piece from his costume are the signature Richie Tenenbaum sunglasses, a pair of Aviator style oversized dark frames with a flat top. Now, you only have to look through my other posts to see that I’m a bit obsessive when it comes to sunglasses, so it will come as no surprise that I took the time to do a little digging to find out where Richie Tenenbaums sunglasses came from. The search, as it turned out, didn’t take long at all. It’s well known that Wes Anderson is a big fan of Vuarnet sunglasses (most of the sunglasses on show in The Royal Tenenbaums are from Vuarnet). Armed with that information it didn’t take long to identify Richie Tenenbaums frames. 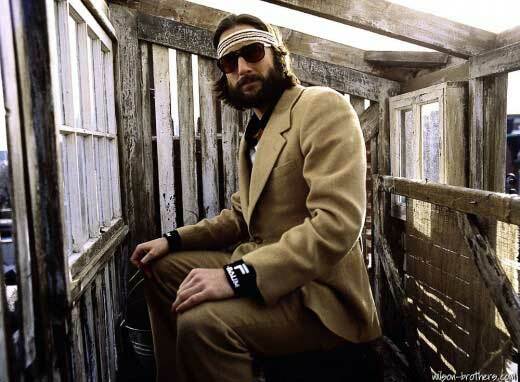 So, what sunglasses does Richie Tenenbaum wear? Luke Cunningham Wilson as Richie Tenenbaum wears Vuarnet PX-3000 aviator sunglasses in the 2001 movie The Royal Tenenbaums. The decision to use a Vuarnet frame for the Richie Tenenbaum sunglasses makes perfect sense for the character. 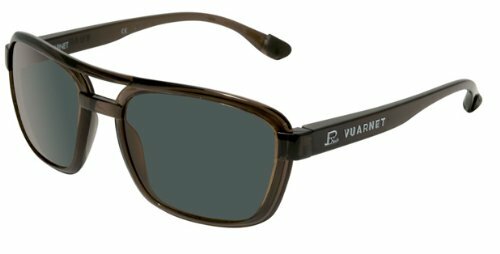 Jean Vuarnet was an Olympic skiing champion, taking the downhill gold medal in the 1960 Winter Olympics, later going on to found Vuarnet Sunglasses. There couldn’t be a better brand to use for Richie Tenenbaum: he’s all about retro sporting style. 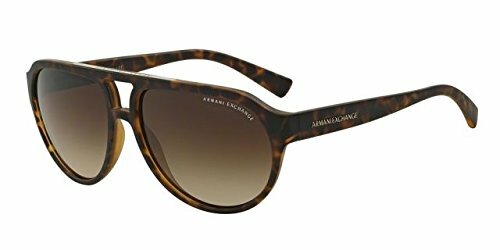 You can also pick up a pair of Armani Exchange Aviators in similar style for only $57. Let’s finish off with a quick look at the trailer for The Royal Tenenbaums. God, I love this movie. Watching The Royal Tenenbaums was like watching the strangest sitcom ever, but strangely enough every minute of it was so entertaining. It may have something to do with the fact that my family is just as messed up and it was easy to relate. Unfortunately I don’t look as good as Richie Tenenbaum, but at least I can mimic his style. I like his fashion in the film and the sunglasses he wears in it is the coolest pair of sunglasses I’ve seen in years. Vintage Vuarnet Aviators will go way up in the next to purchase list. This is one of my favorite movies of all time. I love everything about it and those sunglasses are just amazing. I am going to order them, they are awesome. I actually haven’t seen this movie, but just from the clip you posted I can tell it deserves a place on my “must see” list. And yeah, those glasses are epic! I’m definitely going to try to chase down a pair for myself, but if I can’t manage to make it work with my style, I’ve got a friend who looks just like Richie Tennenbaum who I know could rock them right out. I’ll try them on, and worst case scenario I’ve already got his birthday gift picked out. Nice!